Easter is coming early this year -- really early, March 27th. 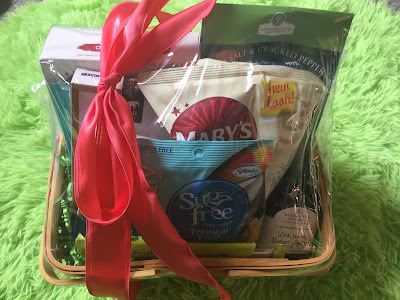 But GourmetGiftBaskets.com is all set with a variety of great items to satisfy anyone from kids who love to see what Peter Rabbit will bring them to adults who need to grab a gift for an Easter dinner or other family celebration. Click here for a quick look at GourmetGiftBaskets.com's2016 Easter Offerings. Easter is coming early this year -- really early, March 27th. 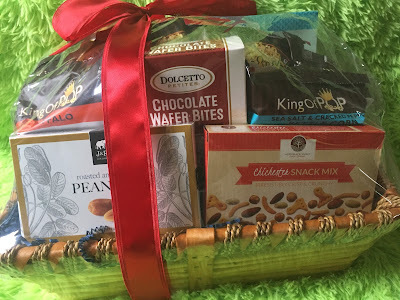 But GourmetGiftBaskets.com is all set with a variety of great items to satisfy anyone from kids who love to see what Peter Rabbit will bring them to adults who need to grab a gift for an Easter dinner or other family celebration. Click here for a quick look at GourmetGiftBaskets.com's 2016 Easter Offerings. 1. BRAND NEW FOR EASTER 2016: HAPPY EASTER BROWNIE CAKE. Just $34.99. Colorful, festive and mouthwatering, this new Happy Easter Brownie Cake is huge and should offer the equivalent of 30 brownies. It could also be a fantastic and fun centerpiece in an Easter buffet, as well. 2. BRAND NEW FOR EASTER 2016: SUGAR-FREE GIFT BASKET, $89.99. Delicious, sugar-free treats can be hard to come by, but the Gift Giving Experts at GourmetGiftBaskets.com have searched high and low for the variety of offerings in this basket. This is the perfect gift for anyone avoiding sugar in their diet or for those living with diabetes, with a nice mix of sweet and savory treats. Rest assured there was no sacrificing great taste in any of these goodies - the wild Maine blueberry spread, sweet candies, and crave worthy snacks prove that you won't be missing sugar at all. While Grandparents are usually the ones purchasing great baskets for kids during this holiday, maybe the kids should get a basket like this for a grandparent who needs to avoid sugar this year. What a treat that would be for Grandma and Grandpa. 3. BRAND NEW FOR 2016: EASTER BASKET FOR MEN, $74.99. GourmetGiftBaskets.com is answering a real need here. Where else can you go to find a basket that the man in your life might love? Think about it. Well, this one many guys would salivate over, as it has SNACKS AND MORE SNACKS. And guys love snacks. For starters, this basket has six different kinds of handcrafted gourmet popcorn -- all in flavors favored by men like Buffalo, Honey Mustard, Cinnamon & Brown Sugar, Sea Salt & Cracked Pepper and more. Then there's snack mix, garlic parmesan pita chips, and honey mustard pretzels, as well. Finally, Dads might get something they want from Peter Rabbit this year, too. 4. PERENNIAL FAVE -- THE TOP-SELLING EASTER BASKET FOR KIDS -- YEAR IN, YEAR OUT. DOUBLE-BUNNY EASTER BASKET. $119.99. Every year for the past three years, these Double-Bunny Baskets have increased in sales by 20 to 30 percent and GourmetGiftBaskets.com predicts the same phenomenon will occur in 2016. Grandparents and parents alike love these because if you have two kids -- all you need is one basket that they can HAPPILY share, given all of the goodies here and the TWO BUNNIES who are front and center. Of course, kids love these, too, because they are MASSIVE baskets and once you go with two bunnies in a basket -- you usually don't go back to just one. 5. EASTER CELEBRATION CAKE POPS. $49.99. So let's say you want to shake things up this year and surprise someone with a gift that's delicious, but just doesn't come in an Easter basket. Well, this is one choice that's sure to please. These gourmet cake pops of rich chocolate, creamy vanilla, and perfect red velvet cakes are dipped into baths of decadent Belgian chocolates, drizzled with ribbons of pastel confections, and embellished with the sweet, festive appliqués. 6. AND LAST BUT FAR FROM LEAST, THE PREMIUM SPA WINE GIFT BASKET ANSWERS THE CALL FOR ALL MOMS WHO NEED SOME PAMPERING ON EASTER. $124.99. Moms will love the lavender moisturizing body lotion and shower gel by San Francisco Soap Company. They'll also feel amazing when they slip their feet into new terry cloth slippers. And they'll look like a million bucks after using the premium skin smoothing brush, foam sea sponge, and all of the other great products. Lest we forget, there's also a fabulous bottle of chardonnay for Mom to enjoy once all of the Easter egg decorating, Easter hunts and other merry making has concluded.